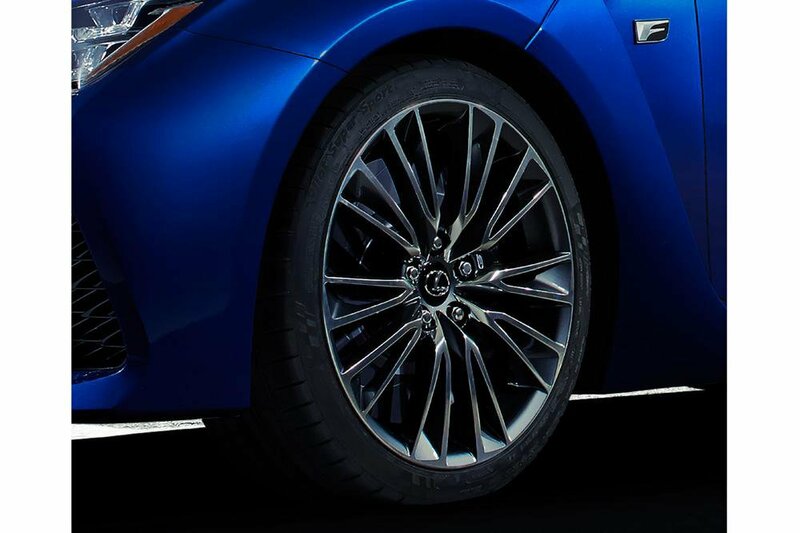 Lexus RC-F teased before making its Detroit show debut | What Car? Lexus has shown a teaser shot of an 'F' model, believed to be the RC-F, which will be revealed at the Detroit motor show in January 2014. The RC-F is set to go on sale later in 2014, with the high-performance model due to arrive in the UK ahead of the standard versions. There are no confirmed details for the RC-F yet, but it is expected to come with a V8 petrol engine in a similar guise to that in the IS-F saloon. It is expected to produce around 450bhp and be capable of a similar sub-5.0 seconds 0-62mph time. The RC-F's precise on-sale date is yet to be finalised, but it is predicted to be available in late 2014. The standard versions, which will include a hybrid model, will arrive in early 2015. More details are expected to be announced ahead of the Detroit motor show.